Our Go Solo offer makes travelling solo even more desirable for people who are looking to travel on their own. 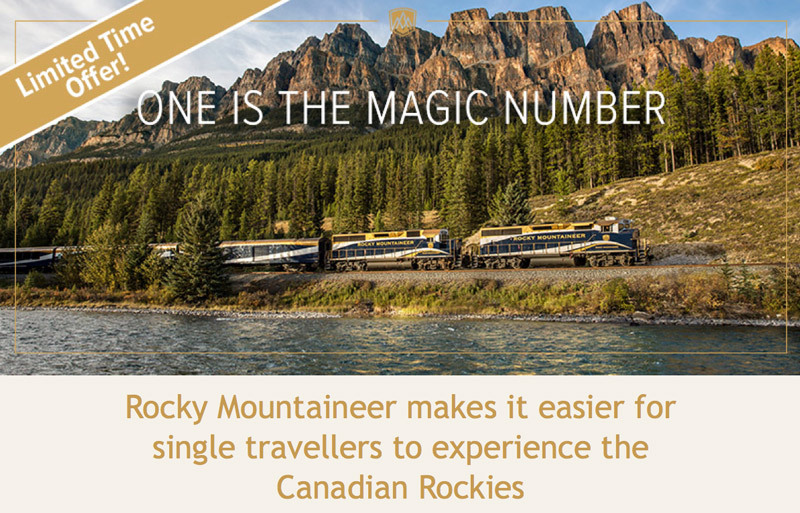 For a limited time, you can pay the per person double occupancy rate as a single traveller, and relax in luxury with unparalleled views of springtime in the Canadian Rockies. Book a qualifying April or May package by May 15, 2017 and take advantage of this unique offer.